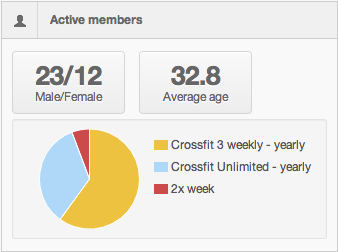 The member dashboard is where you manage your members. There is plenty of summary information on this screen, and you can easily add a new member directly from the dashboard. Here you can see the status of invites you have sent out to use InfluxApp (the simple to use member booking and workout tracking system). By selecting ‘manage invites’, you can bulk invite all members, or resend invites to members. The relationship you build with your members is pivital to your success as a company. Therefore its always good to have some of their specific information on hand. For more specific information on the individual member you can search for them.